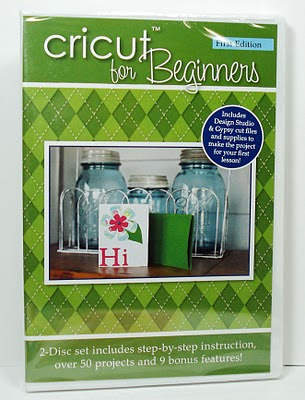 Create your Classroom: CRICUT FOR BEGINNERS DVD GIVE AWAY!!!!!!!! First, I would like to say that I have owned a Cricut since 2006. 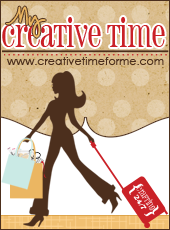 I originally purchased my "baby bug", then I purchased my Expression, then I had to have the Cricut Create, Gypsy, Design Studio software and now my Imagine. After viewing this DVD my first initial thought was that I wished I had my hands on this informative DVD from the start! It would have eliminated so much "trial and error" as well as frustration in the beginning. Maria and Natalie teach you in detail how to use the Cricut machines, how to use additional tools, and they go as far as providing you with Design Studio AND Gyspy cut files as well as all of the supply materials to make the project for your first lesson! I was so impressed when I opened the DVD. As I was watching it, I thought to myself-- I already know everything there is about my Cricut machines BUT low and behold I discovered many valuable and important information such as the Center Point feature. This is one feature on my machine that I had not really used that often but after watching the ideas from the DVD I now have a few projects in mind that I am going to create!! I also learned WHY you should not switch out your cartridges when the Cricut is on-this is a very important piece of information. The list goes on and on...this DVD was professionally filmed, it has the Cricut owner at all levels whether you are a beginner, intermediate, or advanced user in mind and I highly recommend it to anyone who owns one of these fascinating machines. The DVD is powerfully packed with 18 lessons, over 50 projects and 9 bonus features and if that is not enough... they also offer a website so that you can ask questions! I give it a five out of five star rating!! Here is the link-check out the site and let me know what you think! I have a DVD that I am giving away just waiting for you!! All you have to do is leave a comment stating why you love your Cricut, tell us which Cricut you own, and what you think of the Cricut for Beginners website in order to have a chance to win. Good luck everyone! The winner will be chosen this Friday !!! I love the Cricut for Beginners web site. I got my Cricut Expressions 2 Christmas's ago and play with it a lot for the first two weeks and then it got put back in the closet until last week. I want to start using it for my classroom but I don't know how to do many of the things I am seeing online. I would love to have this DVD. I love seeing all the neat things for the classroom and cannot wait to start myself. I hope I win the DVD. I love my Cricut Expression! It is a huge time saver for me when I need to make multiple manipulatives, props, etc. for my classroom. (I'm an elementary music teacher.) The Cricut for Beginners website is quite informative...Love the snowflake project they showed. I love my cricut expression....I would so love this DVD as I don't want to be a beginner forever!!!! I love the tips on the Cricut for Beginners website and the sneek peek video looks like the DVD has loads of ideas and helpful information. TFS and the chance to win. Cool! I own both and Expression and a Baby Bug and I'm sure there are still things that I don't know about them! Plus, my niece who just got her first teaching job is still learning to use her Cricut and this would be great for her! I have a Cricut Create and I love Cricut because of all the amazing projects I can do both at home and with my students at school. Thank you for posting the Cricut for Beginners website, it looks like I'll be spending hours learning about new techniques!! I have the Cricut Expression and I got it when I started teaching this year. It has saved me tons of money by making letters and other things for my classroom. The Cricut for Beginners website is great because it has a lot of valuable information! I am sure I will be spending my night reading more of the website! Thank you! That's neat Wendy! Thanks for the chance to win. I absolutely love my Expression. I received it as a gift from my mom almost 2 years ago. 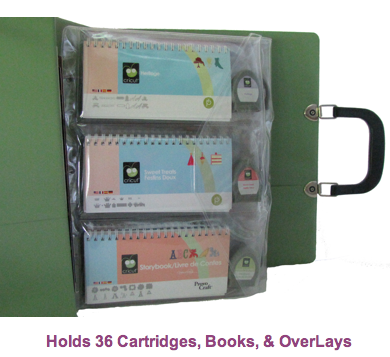 Before November I only used it to prep materials for my classroom then it went away in it's box until the next year. But then one day a dear friend of mine by the name of Wendy P.introduced me to the art of card making and inspired me to start to use my Cricut to create more things for my classroom, family, and friends! I love the Cricut for Beginners website, as I am still a beginner. I am learning more and more each time I use my Cricut. One thing that I love is that each week they highlight one of the accessories that can be used with the cricut as well as offer ideas of projects that can be done! Thanks for sharing such an awesome sight and more importantly thanks for being such an inspiration! Awesome! I Love the Cricut for beginners website.. I'm sure there are so many things that I don't know about my cricut.. I have the create and now the expression. I love the expression for making cards and kids party projects, school projects. I'm new to this wonderful cricut world. I got my expression for Christmas. I have used it for fun around the house projects so far. I'm excited to use it in the classroom more. I have enjoyed looking at the cricut for beginners website. I have felt lost in some areas and this is really helping. I have a pink Cricut Expression that I just got for Christmas. I am really enjoying learning everything I can about it but I know there is so much to learn. I am a middle school orchestra teacher and have made nametags for my classroom so far but my favorite thing is making cards. I am having too much fun with that. I love the Cricut for beginners website because there are so many inspirational ideas there. I am a cricut newbie. I have an expression. I have used it a bit for school related things but now am trying card making. Sometimes I just press buttons to see what they will do! Carol in Below Zero Maine! Hi Wendy. I just found you blog and am so glad I did. Oh' I really am crossing everything I can in hopes of winning this giveaway. All I said before Christmas was how much I wanted the Cricut Expressions. I have never used any type of cutter before. Well my sweet honey got it for me and I'm terrified of it. I spent 2 days after Christmas trying to find a beginner project to do or a how to book that would simply lay out a project and never found one. I don't know why my search never came up with Cricut for beginners so I'm thrilled you told us about it. I think it's a great blog that I will be visiting often, like yours. Thanks for hosting the perfect giveaway. I have the baby bug, 2 expressions and the gypsy. I haven't gotten the Imagine yet. I saw a portion of this video that a friend of mine had brought to a crop and I sure wish I had this back when I was a newbie! I learned a new trick when I watched just one of the segments. I love my expression for just about everything. I am now in the process of making some Super Bowl decorations for a party. Go Packers! I am always looking for inspiration to make new things. Thanks for the opportunity to win. I just love my Cricut Expression. My expression was born when my baby bug broke and went to heaven in November. I love my expression and make cards, scrapbooks, 3d projects, etc. with it. I love to make things for my 4th grade classroom too! I am a semi0newbie so I would love to utilize this DVD. Thank you for always sharing! I love the cricut for beginners website, it has been bookmarked! I love my Expression because it's so easy to make really beautiful things. I use it for my classroom and for crafting. cricutforbeginners.com is great because the projects are fairly easy but the final product is awesome. I love the Cricut for beginners web site! I don't know how I hadn't found it before now. So many wonderful projects. And from watching the preview of the dvd I can see there will be lots I can learn from it. Thanks for the info on the blog. It's going to be in my favorites now. With my Expression I feel like I don't have any limits in what I can do. From cards, layouts, home decor and more, there are no limits in what I can do! I love my Cricut and I love that I found your blog. I would love the DVD. I even have an adorable cover for my Cricut to keep it safe and warm. That's how much I care about Cricut!!!! I love your blog :) Thanks for sharing about the video and a chance to win! I have only owned my own expression since Christmas, but have been lucky to use my mom's to make stuff for my classroom. I love being able to make creative and unique bulletin boards, decorations, etc. Since my Cricut is so new I barely know the basics so I love that Cricut for beginners has so many tips and ideas!